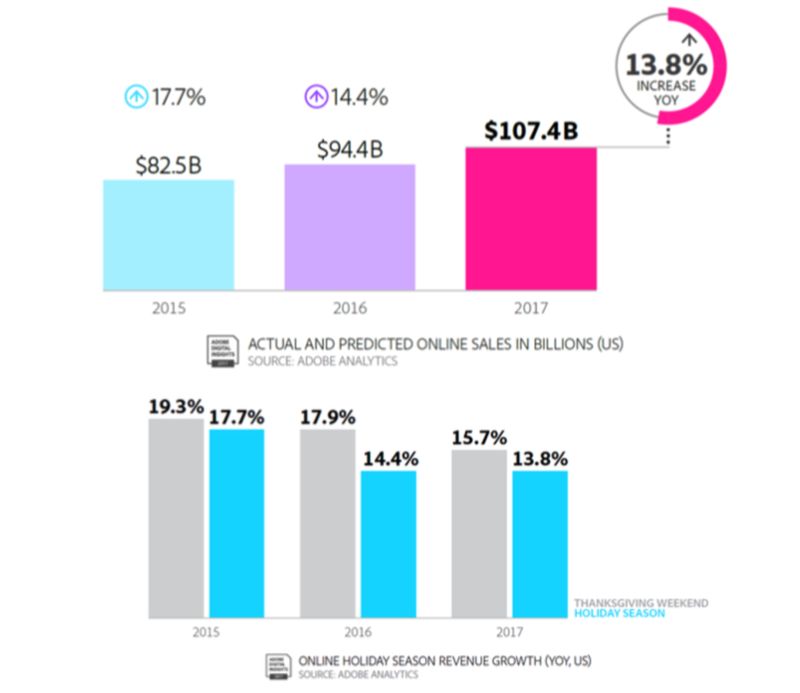 We’re now less than 3 weeks away from the busiest online shopping season of the year starting with Black Friday and Cyber Monday which, this year combined, are expected to generate online sales worth more than $100 billion. With mobile taking an increasingly bigger piece of that pie each year, app marketers need to take an innovative approach to their holiday creative strategy to maximize revenues and stand out from the crowd. However, rather worryingly, a recent survey from YouAppi reports that 76% of marketers surveyed said they struggled with a lack of time to prepare for the holidays, finding that getting ahead of the competition during the hectic holiday season has been a recurring obstacle. To help shed some light on holiday creative optimization and how this can boost revenue for apps of all verticals, we caught up with Director of Account Management US West, Margaret Johnson, to gather her top tips to get your retargeting ads ready for the lucrative holiday season. Q: How important is it to customize creatives for the holidays and what are the benefits? A: We know that one of the core value propositions for mobile app retargeting is relevancy, and the proof surfaces in the increased efficiencies in user re-engagement and rate of purchase. When we combine a highly relevant season like the winter holidays with a strong brand, we see a dual impact on users. First, users are reminded of a brand or item they already love, and second, the connection to the holiday season incites an energy to click and engage with the app. This is where customization becomes extremely important: while adding a holiday image to an ad can be impactful - best practice campaigns will also be leveraging either a promotion, or new content, to further entice the user. Q: How can I be sure my ads stand out from my competition’s? A: One great way to stand out from your competition this season is to offer your engaged users a little something extra on top of the seasonal discounts you offer in your app. By segmenting your app’s audience based on their previous in-app actions, you can tailor your creatives to offer previous purchasers an extra discount, or a promo code to incentivize customers who spend over a certain amount. By combining the offer in your creatives with a deep link, you can reduce the friction in the path to purchase and deliver on your promotion more seamlessly to capture purchase intent and drive those crucial holiday sales. Another approach to stand out from the crowd would be instead of using the dynamic ad format to display some relevant items your customer previously expressed interest in, you could display the estimated delivery date of an item the user added to their cart based on demographic data. A strong CTA like “Have your item by November 30th” will not only stand out from your competitors display ads but also incite urgency in your users and reassure them that by making their purchase now, they can avoid the stress of the stores and receive their items on time for the holidays. Q: What is the best ad format to use during the holidays? A: That’s quite a tough question actually as every app is unique so what works for one app type may not work for another. 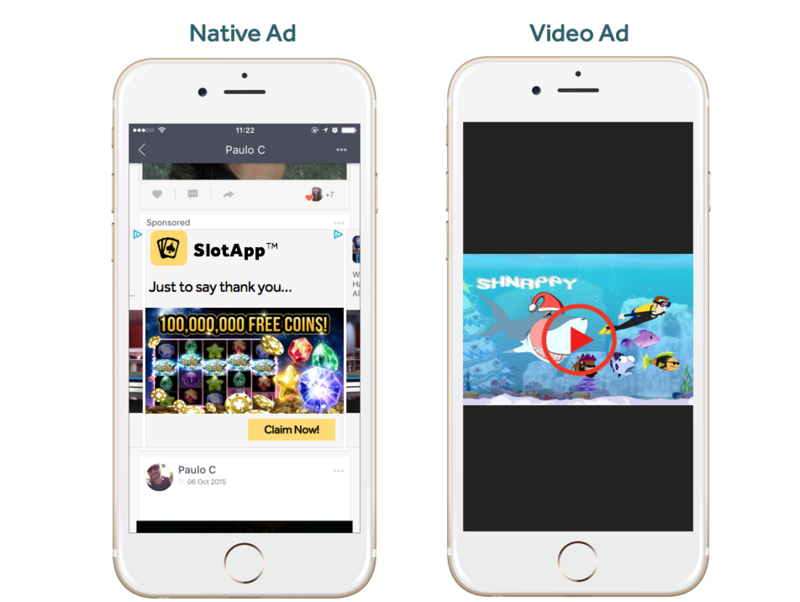 Video ads work really well for almost all app types, especially around the holidays because they allow marketers to create more of a story to engage users in the new festive design of their apps. 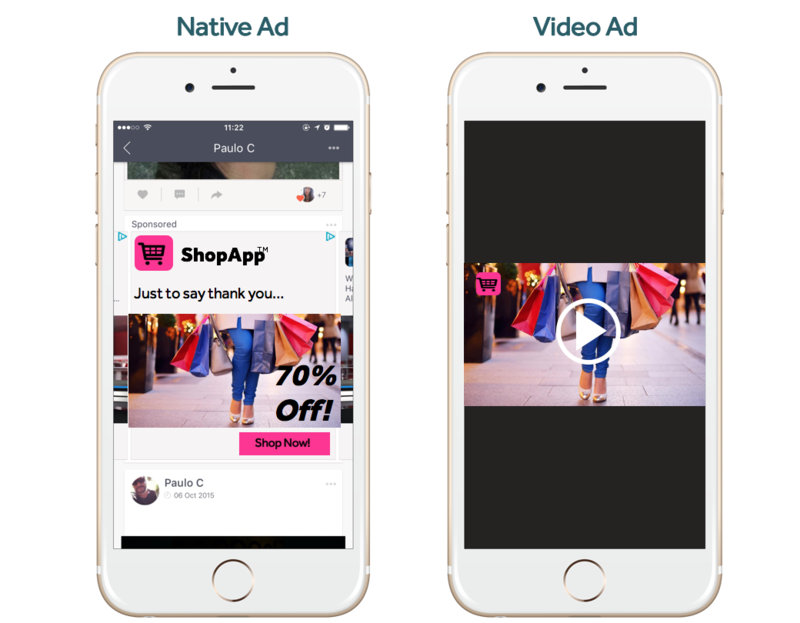 Video ads drive 5x higher engagement than static ads, so for marketers looking to promote new products, features or sales - they are a great solution. 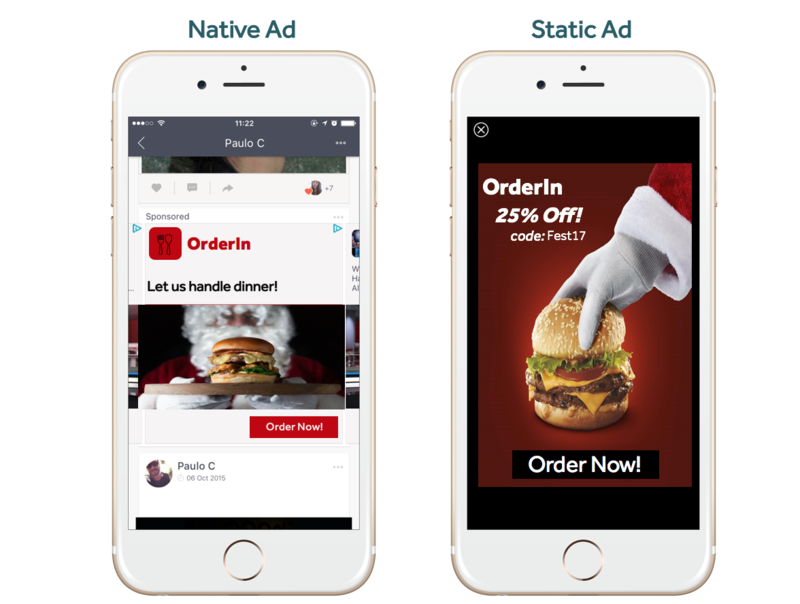 Native ads are another great format that work especially well for eCommerce apps as they allow app marketers to remain at the forefront of customers’ minds as they browse through their social feeds. Q: How can app verticals like food delivery & gaming customize their creatives for the holidays? A: At Remerge we work with clients across a variety of app verticals from utility apps to food delivery, and in recent years we’ve noticed app marketers from outside the eCommerce app space starting to customize their retargeting creatives for the holidays. 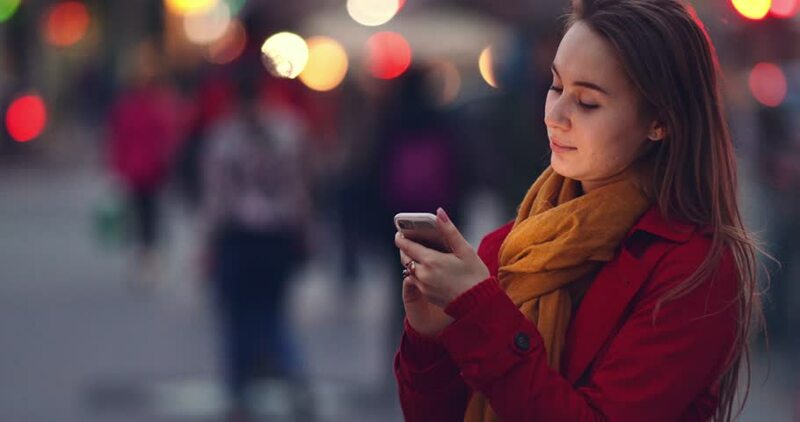 Delivery app marketers have the unique opportunity to cater to the hecticness of the holidays by leveraging a smart creative strategy that tired shoppers can’t help but take advantage of. Gaming apps will always see a revenue spike around the holiday period as their players tend to have more free time to spend playing their favorite games. In fact, according to Appsflyer’s study on app marketing for the holiday season, purchase activity for iOS gaming apps increases by 140 percent at the beginning of Q4. Themed creatives and holiday promotions can ensure higher engagement and help drive that last bit of revenue before the end of the year. The holidays can be a stressful time of year for everyone but especially for marketers trying to maximize revenues for their apps. These last minute tips have not only been proven to drive more conversions but also higher engagement to ensure that the users you have spent money on acquiring are retained and engaged within your app during the holidays and beyond.